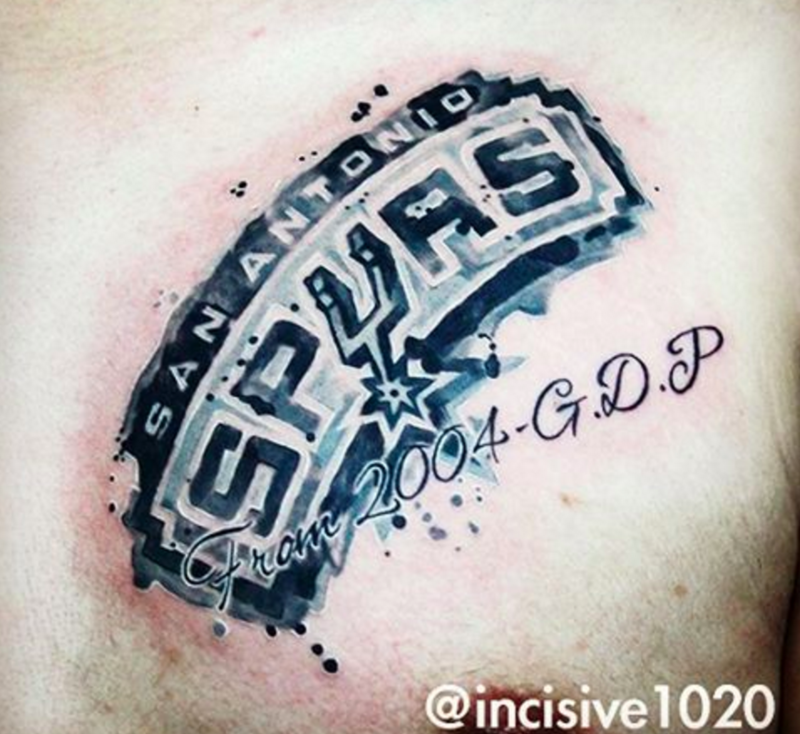 As far as fan tattoos go, this San Antonio Spurs watercolor piece is right up there. Just for fun, try to figure out what 2004 – G.D.P stands for and post your guess in the Twitter or Facebook comments. Props to @incisive1020 in Taipei, Taiwan for sharing this bitchin’ piece. 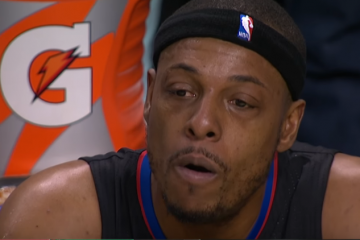 UPDATE: 2004 represents when this person became a Spurs fan and the G.D.P stands for Ginobili, Duncan and Parker. Mystery solved.